This image depicts a map from William Bartram's book Travels Through North and South Carolina. In the novel Cold Mountain, Bartram's book is Inman's traveling companion. As Inman made his way back to Cold Mountain, and the woman he loved, his constant companion was Bartram's book. As America's first naturalist, Bartram drew pictures of Carolina plants and explained them in some detail. He talked about Native Americans, like the Cherokee Nation, and what he knew of their ways. His book has been republished and is available today. But what would Inman's worn copy have looked like? What would he have learned from it? When Bartram made his observations in the 18th century, he could not have predicted that America would be torn apart by Civil War seven decades later. 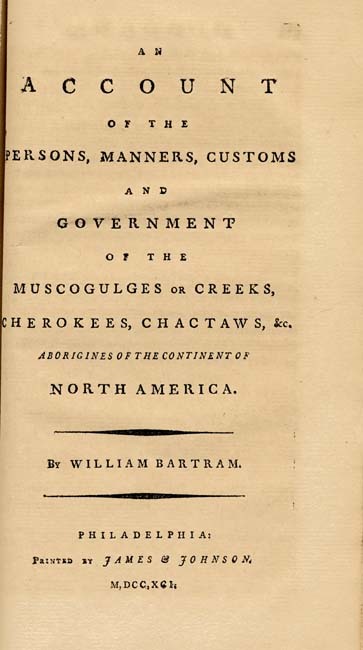 But people living in the South, during the war, no longer wanted texts (or books) written by Yankee authors (like Bartram) and published by Northern companies. 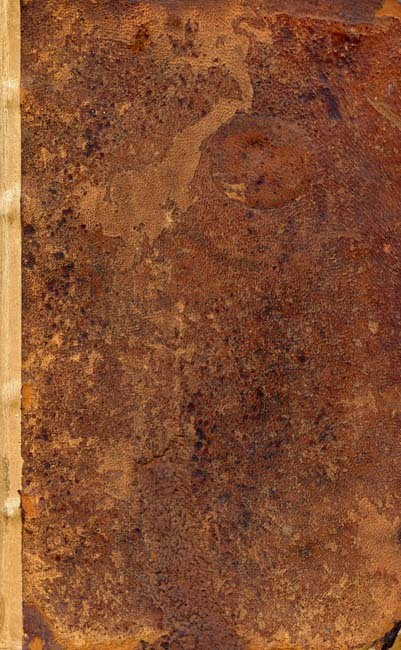 Today, however thanks to the University of North Carolina's on-line treasury of Confederate primary sources, we are able to examine some of the war-time books created especially for Southern children. One such book, created for very young children, is especially interesting. The first illustration one sees in Child's First Book is a canon with the Confederate flag. The political revolution in which we are now engaged makes necessary an intellectual one. 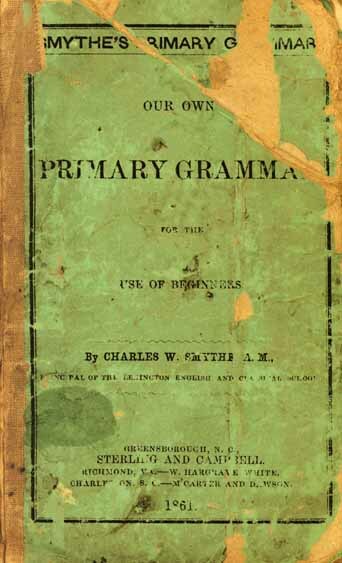 To aid in this, and to supply an existing want, I have undertaken the preparation of a series of ENGLISH GRAMMARS, of which this is the first. The year before she died, Marinda Branson Moore wrote a geography book especially for CSA (Confederate States of America) children. She called it The Geographical Reader, For the Dixie Children. What currency did people in North Carolina use to purchase such books? As Inman walked through North Carolina, toward his beloved Cold Mountain, what currency would he have used (when he had it all) to purchase goods? In 1862, J.T. 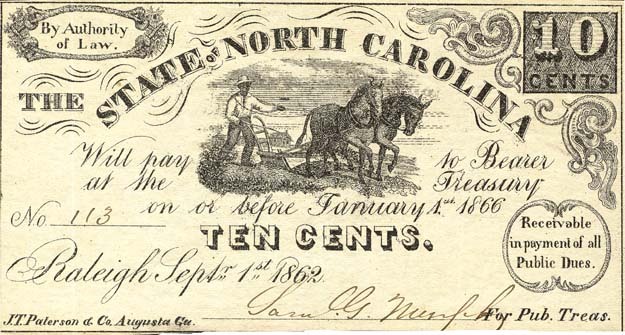 Paterson & Company (from Augusta, Georgia) printed ten-cent notes for the State of North Carolina. The dime note pictures a well-dressed slave plowing a field. 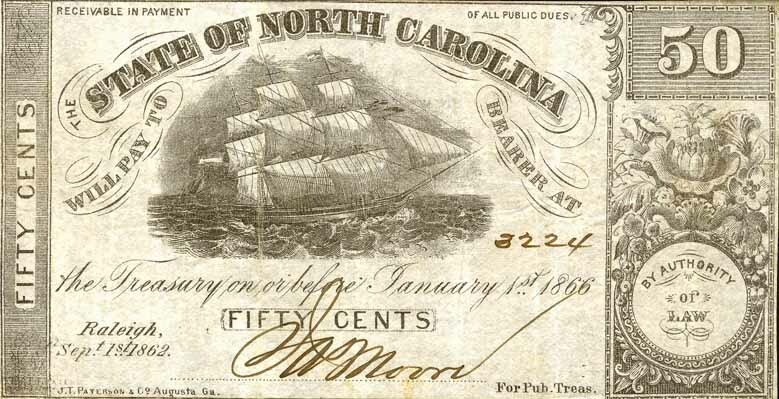 When North Carolina's fifty-cent note was first issued in 1862, sailing ships (like the one shown on the currency) brought European goods to the Confederate States. By 1864, however, the Union's naval blockade had caused serious hardship to the South. 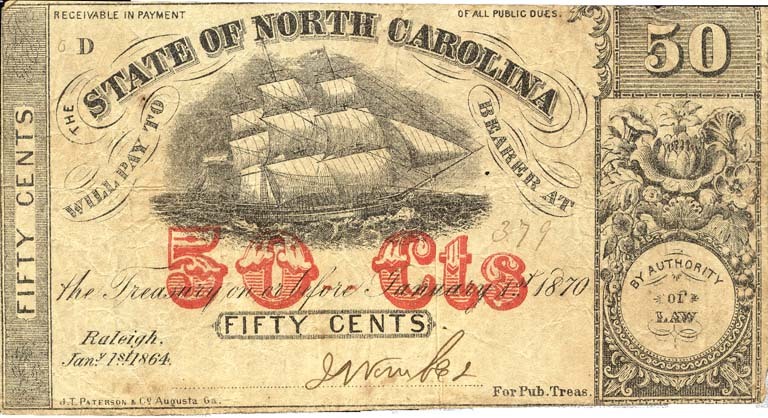 Sometimes money (like this $50 note) was printed on the back side of old North Carolina bonds. 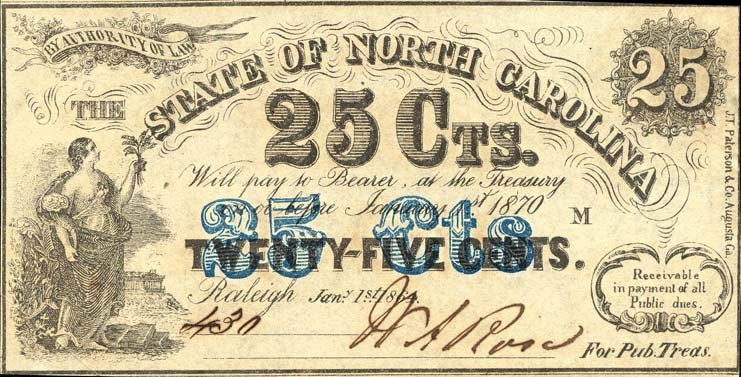 On December 12, 1863, North Carolina's General Assembly authorized a $400,000 printing and distribution of twenty-five and fifty-cent notes. 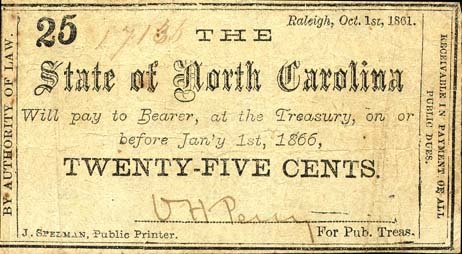 Issued on January 1st, 1864, when the South was struggling with soaring prices due to high inflation, this was the last printing of official North Carolina war-time currency. As Inman approached Cold Mountain, the last thing on his mind was Confederate currency. And, at least for a time, even the threat of the Home Guard seemed distant. Before him was the highest peak in the Pisgah National Forest. Bos, Carole "OF MONEY AND BOOKS" AwesomeStories.com. Dec 01, 2003. Apr 25, 2019.